There she was, all shiny and new, looking like something out of a center spread magazine. Old Bessie will be jealous, but you don’t care – it’s your dream car. You slyly ask Barry the dealer how much this bad boy will cost you and while it’s not entirely in your price range, with a little saving, it’s do-able. The main issue is – you barely have two pennies to rub together by the end of the week. So how do you save? Here are a few ways to turn those two pennies into a mountain of gold and successfully save for your dream car. Barry the dealer is a great guy, but he has a handle bar moustache and shouldn’t be trusted. While there are a few great salesmen out there, most customers leave the showroom with the odd suspicion that they just got hustled. No one likes a raw deal, so make sure you aren’t hasty by doing your homework first. Check out magazines and reputable websites like Jaguar.com.au that offer reviews, pricing guides and comparisons of similar models that will allow you to make an informed decision. That way, when Barry tries to sell you a vehicle that’s $2,000 more than it’s worth, you can confidently say I don’t think so mate and work on negotiating a more realistic deal. Are you eating out for dinner five nights a week? Calling your local Thai takeout more than your parents? Or splurging in a weekly retail therapy session? Adds up doesn’t it? While the odd night out with friends is necessary for our sanity, if your credit card is burning up in that hip pocket of yours, it’s probably a good indication that you need to cut back on your spending habits. Not sure where you are spending your money? Write it down and be honest about it. By doing this, you’ll know exactly where that extra coin is going. If you want that new car, be ruthless with your money, but not till the point where you’re living off Ramen seven nights a week. Remember how I just said to write down your spending habits? Well now you are going to take that and make a budget. Yep that’s right, a real grown up budget with numbers and columns and everything. Take your pay-check and subtract the necessary weekly spend like rent and bills. Then with what you have left over, calculate how much you’ll need for food, entertainment, gym memberships etc. Then figure out how much you’ll have left over for your car savings. Not enough money at the end of this? Look at your budget and see what areas you can cut down in order to put extra cash aside for your vehicle. So sometimes we can’t help ourselves when we see that must have right now item. 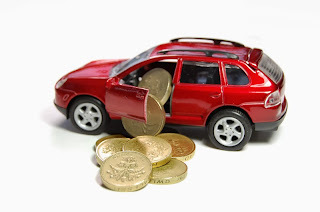 You know that it’s a little out of your budget but you think what the heck, you can just take a bit out of the money you’ve got saved for your car. After a while, those impulse buys really start to hurt what you’ve saved and eventually you’ll find your savings start to plateau and you begin to form bad saving habits. It’s for this reason that to effectively save, you should set up a separate savings account that you can transfer your intended amount to each week. Make a rule with yourself, that only under dire circumstances can this fund be touched. Tip: Talk to your bank about an account with a high interest rating. Do you have any handy money saving tips? Let us know in the comments below.